Restaurant chains are tempting diners with that perennial black sheep of American meat: lamb. Arby’s, the king of roast beef, will soon start peddling lamb gyros year round. Sandwich seller Potbelly Corp. is offering a gyro flatbread; Darden Restaurants Inc.’s Yard House brewery, a lamb burger topped with feta cream cheese; and Romacorp Inc., lamb ribs at more of its Tony Roma’s restaurants. Meanwhile, fast-growing Mediterranean-style eateries such as Zoe’s Kitchen Inc. and Taziki’s, looking to their heritage, are featuring lamb meatballs and chargrilled lamb, along with hummus and pita. 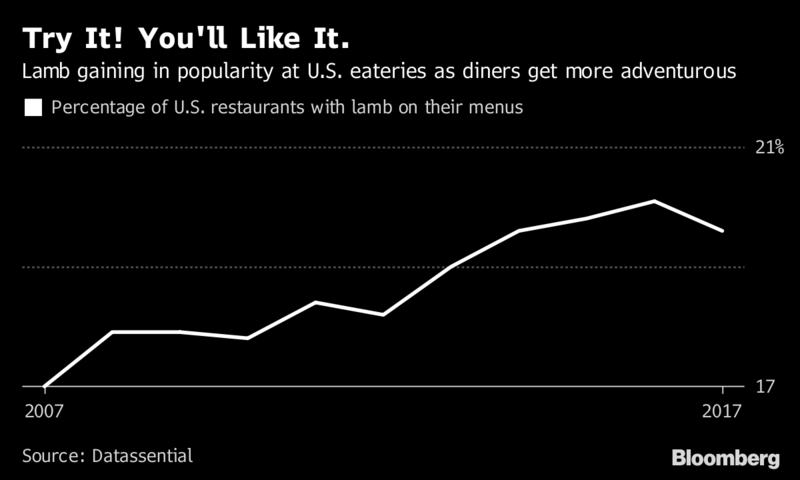 As younger diners start showing more adventurous tastes, lamb is now on 20 percent of all U.S. restaurant menus, up from 17 per cent a decade ago, according to food researcher Datassential. Maybe not. Lamb is the oldest domesticated meat, but it’s never quite tickled the American palate. It has long been relegated to the occasional splurge at steakhouses or as kebabs at Greek diners. Only half of the population has even tried it; 13 per cent flat-out hate it, according to Claire Conaghan, Datassential group manager, who says it is often perceived as dry and even “gamy.” There’s also the sad child factor: Lamb is a sheep, under 14 months old. 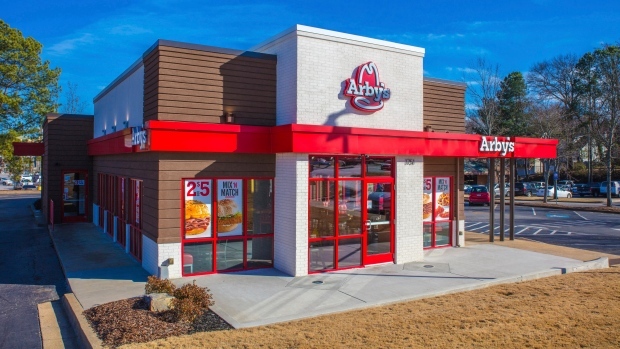 Still, Arby’s Restaurant Group Inc. says it sold 6.5 million gyros in April, up from 6.1 million during the same month last year, when it was first offered. Yard House’s lamb burger is one of its top-selling non-beef varieties, alongside turkey, pork and vegan versions. Black Angus Steakhouse is trying to draw in younger diners by pitching their New Zealand lamb as free range, said David Bolosan, the 44-store chain’s senior director of product innovation and procurement. “It definitely resonates with millennials,” he said. In Orlando, Florida, Matthew Imholte is sold. Last month, Imholte, 32, chowed down on a Yard House lamb burger and was pleasantly surprised. “I didn’t realize lamb was going to taste so good,” he said. On a recent weekend, for the first time, Imholte grilled medium-rare lamb loins for his family. Lamb T-bones now stock his freezer. Imholte, a fitness coach and motivational speaker, says lamb seems wholesome to him. He might not want to look too closely, though. It’s red meat, which the Cleveland Clinic and other health authorities recommend limiting because it is high in saturated fat. Consider the fine print on the Arby’s menu. One third of the 360-calorie “classic roast beef” sandwich is fat. Its lamb gyro? It’s one-half fat. The calorie count: 710.